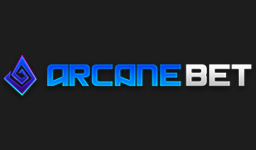 Take your eSport bets to a place considered a paradise for anyone looking for anonymity. With bitcoin as a deposit method and no verification needed you’ll be like a ghost browsing through a huge selection of odds. Find more than 15 eSport games to bet on and a handful of fun markets to keep your entertainment up with. Need help winning your bets? Just ask the knowledgeable players in a public chat found on the site. 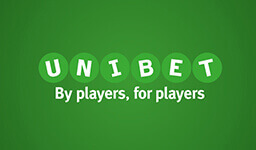 Thank them by transferring a portion of your winnings using a unique fund transfer service. If you love bitcoins, eSports and anonymity, you’ll love Nitrogensports! Keep on reading the full review or start placing your bets right away by clicking the button below. Nitrogensports is the kind of site you play on because you’re looking for something that no other site is offering. In this case anonymity combined with a player chat and a fund transfer service. With no verification needed and Bitcoins as the only payment method, this is a great place to bet if you don’t want to give away any personal details. Not only that, but with Nitrogensports any player no matter what part of the world can place bets, which is perfect for a lot of bettors whose country is usually or always restricted. While withdrawal and settling times can be somewhat delayed for an eSports bettor, the coverage of eSport matches is really good. No matter what game you’re interested in, you can usually find plenty of odds and for the most popular games you’ll also find a couple of interesting markets, such as the team to score first blood or get a certain number of kills first. In addition to the usual match winner, handicap and over/under bets, which you’ll of course also find. It’s not only eSports that can be enjoyed, but in addition to plenty of traditional sport bets, you’ll be able to play poker (Texas Hold’em) against other players and try your luck with blackjack and a couple of other casino games. The biggest downside with Nitrogen is that the customer support can only be reached on e-mail and that you won’t find that many bonus offers. They do have a rewarding loyalty program for poker, which can earn you bitcoins or free bets, but there’s unfortunately no welcome offer or any other bonuses on eSports. In general, Nitrogensports does an awesome job with withdrawals as these are, for the most part, automatically processed, which means that you’ll get your funds as fast as the Bitcoin Blockchain allows. 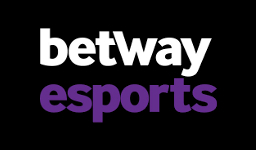 However, for eSport bettors there unfortunately is an exception. If an eSport bet has been recently placed a manual withdrawal process is required, which can take up to 24 hours. When it comes to settling times, a bet is usually settled within 20-30 minutes after the match has ended, regardless of it being a live or pre-match bet. However, when it comes to eSports, this can for some obscure matches take up to 24 hours. The reason for this is that two independent sources of match results are required when it comes to settling the bets and for some of the rarer games going down this can be a bit tricky to find. But for the most part the settling of eSport bets is done quick. A nice addition to the betting offered at Nitrogensports is being able to try your luck with casino games and testing your skills against other players in poker. Just don’t except the selection to be anywhere near what “traditional” operators are offering. In the casino you’ll only find a couple of different table games, such as Blackjack, Baccarat and Dice and in the poker lobby there’s not that much action going down. With that being said, if you aren’t too picky you’ll enjoy it and they even have poker freerolls running on a regular basis. Nitrogenesports is a Bitcoin based site and therefore only offer deposits with Bitcoin. Nitrogensports has no particular core markets and no restricted countries either. 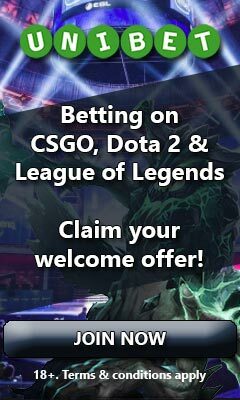 Their service is offered to players all around the world and it’s one of few eSport betting sites that accept USA players.